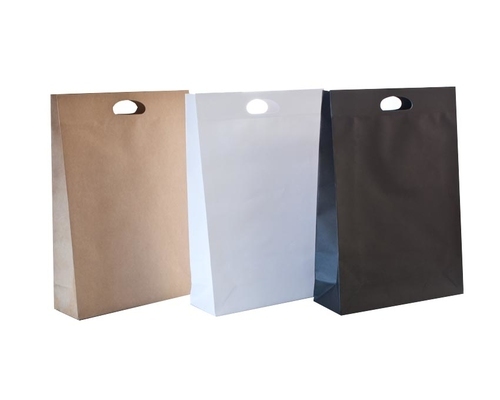 These are top quality and absolutely stunning paper tote bags with a die cut handle. These bags are made from lovely thick paper with a super luxurious texture. They are sure to give your shop that extra touch of class and elegance and make your customers very happy. Available in a good range of sizes and in either white, black and brown kraft (not all sizes available in black).